Several subjects were arrested and charged on drug related charges. Michael Trujillo, 33, Killian Beebe, 22, and Melanie Mitchell, 21, were all arrested Friday for charges of Conspiracy, Possession of a Controlled Substance, and Possession with the Intent to distribute. 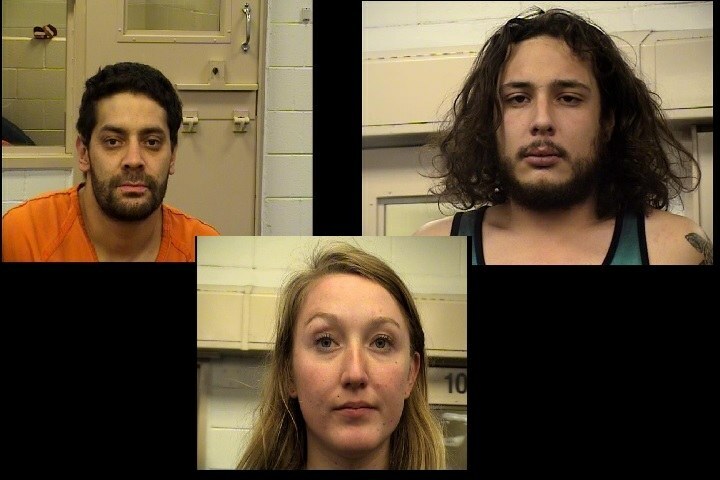 Albuquerque Police Department Narcotics detectives were conducting an investigation of Trujillo, Beebe and Mitchell who were observed by detectives selling Marijuana and Cocaine in the Northeast Area Command. On Friday officers were able to serve a search warrant at 9604 Arvada Ave NE where the three have been staying. During their investigation they found the residence to be substandard along with a Marijuana grow operation and Cocaine. Michael Trujillo, Melanie Mitchell, and Killian Beebe were arrested on felony narcotics charges after Narcotics, (2) Firearms, and Marijuana were found. Killian was also arrested on an outstanding felony warrant; who has a criminal history for Auto Theft. Trujillo has a criminal history for weapons violations. The Safe City Strike Force Responded and took possession of the residence due to its substandard condition. Neighbors who live in the area have told police they are happy to see this type of enforcement and happy their neighborhood is safer now. Detectives did an excellent job working this investigation and continue to work hard to get suspects like these off the streets.